Game audio is a diverse and inspiring aspect of gaming. 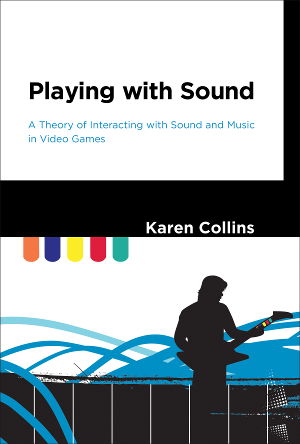 In Playing With Sound, Karen Collins, author of Game Sound, explains the various ways an audience can interact with game audio and how studios use audio to create fun, interactive and immersive experiences. Collins defines many terms and definitions regarding audio and sound and the various ways people listen and interact with what they see and hear. The text brings attention to the fact that audio can sometimes be interpreted on a deeper level. At other times sounds are present for fun or to even aid in immersing the player in the game. Collins cites examples from Twitter and forum comments as well as industry veterans and scholars for a well-rounded look at game audio. The tough questions about game audio are asked and answered by Collins from a scholarly point of view. But does Playing With Sound aid artists in creating and integrating quality game audio? The text covers both sound design and music production and how the two can be seamless, or completely separate from each other. Collins explains in chapter one that the sounds and music heard in a game can never truly be void of a listener’s imagination or senses. 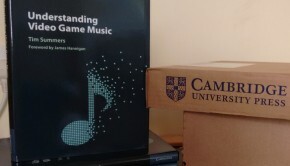 There are many game examples that help to identify the relationship between the player and what the player hears to help you associate with a familiar game and terms like synchresis and kinesonic congruence. The text explains that sounds and music can have a different impact on the visuals. The explanations might seem lengthy to a reader who is not too interest in the development side of video game, but will certainly give a clear description of the various ways audio is used in the medium. Collins goes into detail about the notion of using a controller to interact with music. Much like karaoke, a toy guitar can be a tool used to interact with music and achieve an in game goal. Chapter one, entitled Interacting With Sound, Collins uses the example of the Wii and using it as a pretend sword to manipulate the character in the game. The action of swinging the Wii-mote and hearing the synthetic sword swing sound make the action seem more realistic. This example, among many others, helped me to understand how quality sound can help the game feel more realistic. Collins does not leave out the importance of voice and dialogue in video games. In chapter 3, Collins cites a sound designer who worked on Little Big Planet and how the character, Sackboy, does not speak or make sounds. The voice of Sackboy is intended to be heard in the player’s head so the experience can become more personal. The text goes on to say that players who create their own characters want to resemble the appearance and want their voice to sound like the character. Wanting to replicate a character’s voice is similar to wanting to recreate a character’s facial expressions. However, leaving voice out of a game can help gamers connect with the character by imagining their own voice is the one the character would have. All of this made sense to me during my read through, but I never gave it much thought when controlling a character that does not speak. In chapter 5, Collins uses examples of older generation that people modified the sound of, sometimes in hope of profit, other times for the fun. The practice of altering the audio adds a level of customization to any gaming experience and can spark creativity in a gamer or developer. 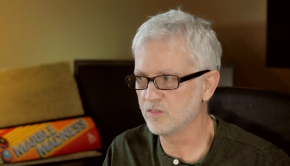 Collins states that altering music in a scene can change the effect all together. There are even some examples of audio mods listed in the text for those who are keen to delve deeper into the modding world. Readers, developers and game music enthusiasts who want an in depth and scholarly explanation and interpretation of game audio will definitely enjoy reading Playing With Sound. 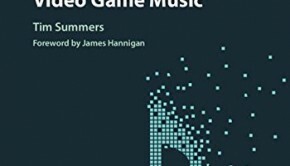 This book does not guide you through the process of creating game audio, rather it analyzes it and explains various ways in which it is used to accentuate visuals, and make a gaming experience fun and enjoyable. This is a fun read that supplements some of the topics covered in Collins’ previous book, Game Audio. This book certainly has given me a deeper appreciation of not only game music and sound design, but how integral it is to make the visuals and gameplay come to life. Posted on October 6, 2015 by Marc Chait. Last modified on January 13, 2016.